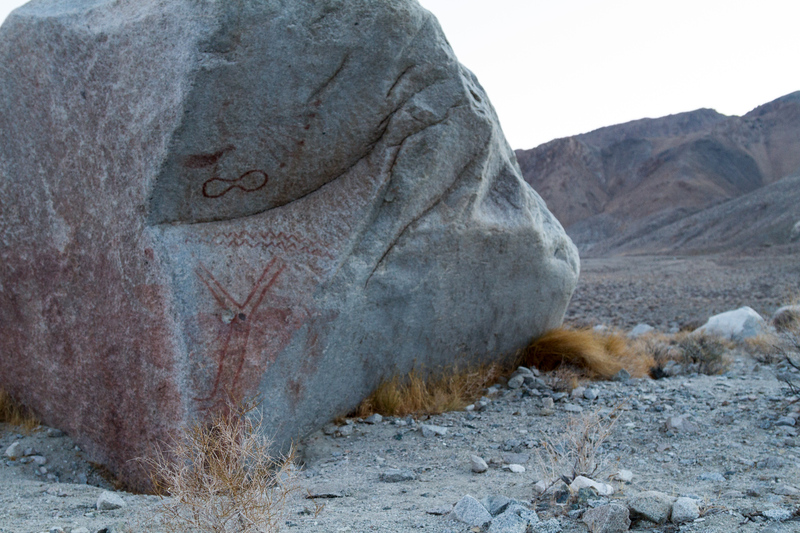 Agai Pah is the Northern Paiute name for Trout Lake or Walker Lake as we know it today. 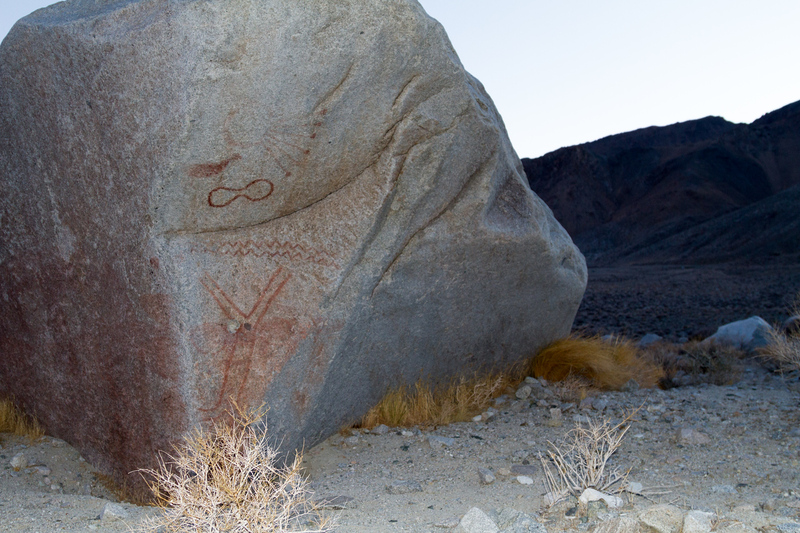 This is an intriguing pictograph site. 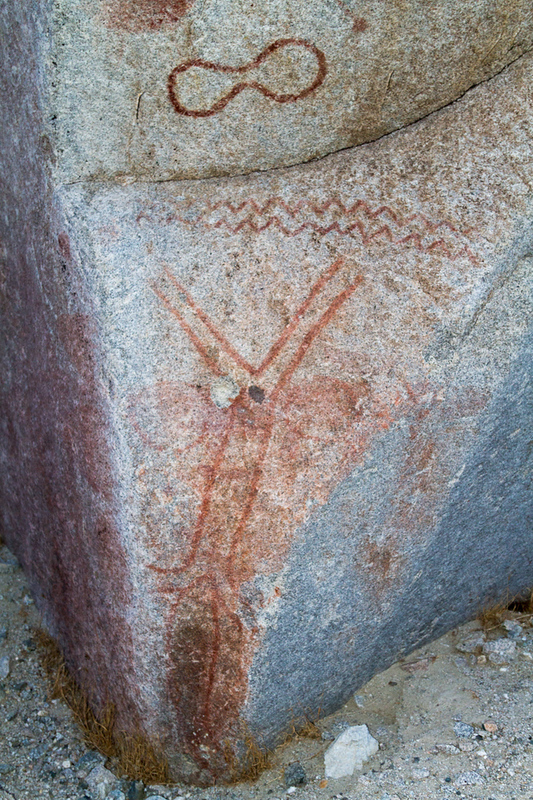 Located on an isolated boulder, red pictographs appear on a single side of the boulder. Different people have taken different meanings from the symbols. 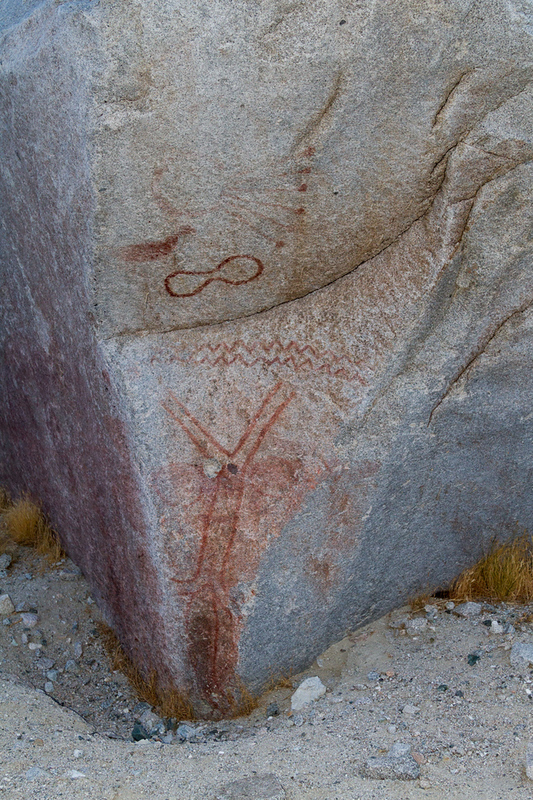 One story says that the pictographs depict a great serpent that lived in the lake. Waves appear to be going across the top of the panel. 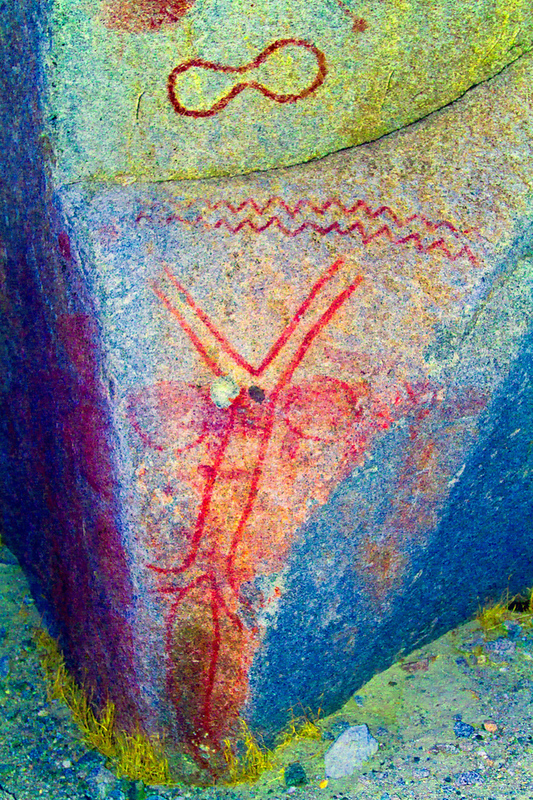 The center symbol is thought to be a river or waters coming together between two rocks and down at the bottom is a fish or serpent entering. Another story says the panel shows a great flood that filled the lake. Waters are shown coming together. 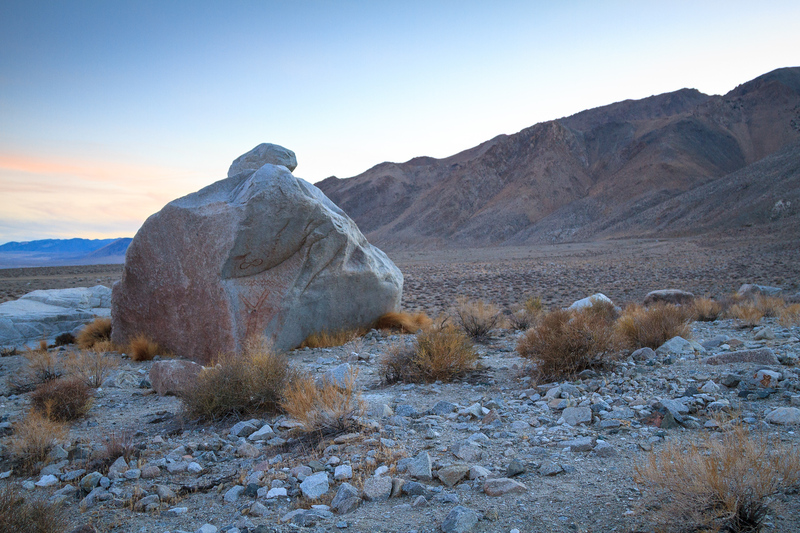 Mysteries remain: Is that a comet up on top of the boulder? With a sheep or deer? 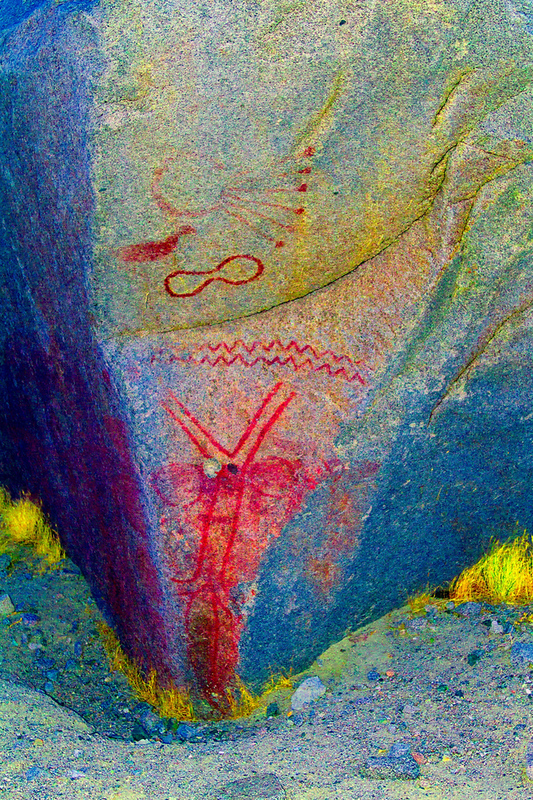 And what is the symbol that looks like two joined circles? 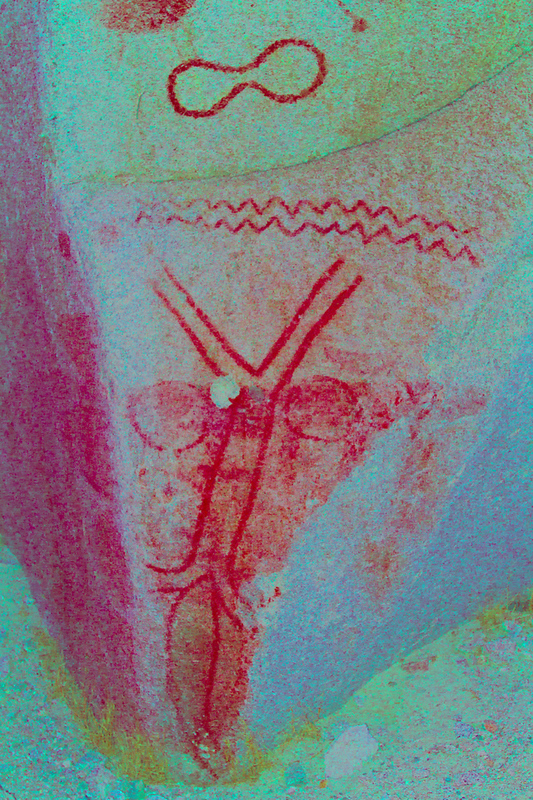 More contrast in this D-Stretch image.